It doesn’t matter what team you root for, what sport you like, even if your not a sports fan (well maybe that’s a stretch); you know the New York Mets can never catch a break when it comes to anything. As a die-hard Met fan for life, staying patient with this team even tops two of the other teams I root for in the Jets and Knicks, which have enough of their own problems on every aspect on and off the field (were talking to you, Phil…). But more importantly, this team has to get back on track, use their brains, and pray for a stop to these injuries. Just 27 games into a big season, sitting at a disappointing 12-15 record, only good for 4th place in the NL East; the Mets have suffered injuries to an insane amount of notable players. This list includes players such as: David Wright (60-Day DL), Juan Lagares, Brandon Nimmo, Lucas Duda, Wilmer Flores, Yoenis Cespedes, Travis d’Arnaud, Steven Matz, Seth Lugo and of course now Ace Noah Syndergaard. Sure, you can call this a stretch of horrible luck (or Mets luck) for this team, but the way the team has handled the time-frame and rushing between each injury is unacceptable. The team rushed back Wright after he finally recovered from a major injury, and he was later hurt again and he’s on the shelf for 2 months. Cespedes was rushed back despite an obvious sign of pain and injury on the star OF, as well as SP Noah Syndergaard, who returned from an injury just to be hurt once more, only lasting 1.1 Innings in a 23-5 clobbering from the Nationals. All in all, this deep, young, promising Mets rotation, which I’ve fell in love with the whole offseason, is being torn apart from not just a stretch of injuries, but poor team decisions. Although, injuries are clearly not the only factor in this new Mets Nightmare episode, as the pitching of the rotation, bullpen, and a poor start to the bats (not as of late though as they’ve knocked in 5+ runs in their past handful of games) brought this squad down. Let’s bring a great example out in veteran infielder, Jose Reyes. As much as I love the guy, his start to the season was unacceptable as he started absolutely ice cold at the plate and batted under .100 at one point. Reyes did find his groove recently and has became pretty hot at the dish, but he posed a perfect example of the inconsistency the Mets have experienced early on. 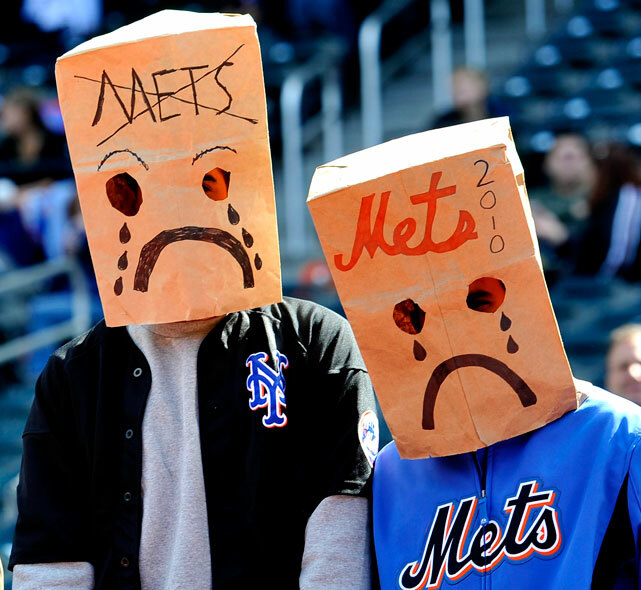 Lastly, we come to the absolute sore spot for recent Mets squads, which is the dysfunctional bullpen. Forget about the 15 game suspension for closer Jeryus Familia, since the other guys in the ‘pen couldn’t get themselves together no matter the situation posed to them. Outside of Rafael Montero (who is now stepping into a starting role because of the rotation depletion), Jerry Blevins and Addison Reed – the team cannot finish games which absolutely kills them in the long run. But, the Starting guys when playing haven’t helped the cause as well. Syndergaard, who holds a 3.29 ERA predominantly because of the Nightmare Start (fueled by injury) against the Nats, has been the only strong pitcher so far for this squad and has been very consistent. Otherwise, the rest have been absolutely awful as Jacob deGrom holds the lowest ERA of the rest, sitting at 3.68 as the others range from there to around 7.00… That line is totally unacceptable for a team with major postseason asperations.